Red Tiger inks content deal with Casumo - Read more here! 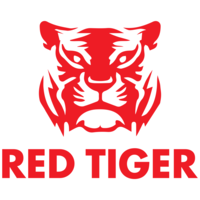 If you thought Casumo Online Casino was hot before, wait until you read about this new deal with Red Tiger Gaming (RTG). According to sources, the two partners officially inked a long-term content deal last week. Immediately afterwards, RTG launched its full portfolio of casino games on Casumo. Also through this deal, Casumo players will now have full access to RTG’s Daily Jackpots. So without further delay, let’s skip all the small talk and get straight to the details. As we mentioned above, Casumo players now have full access to all of RTG content. This includes Tiki Fruits, Gemtastic, and the long-awaited Thors Lightning. Which, isn’t due to launch until February 14th, 2019. RTG’s games are very popular with savvy casino players since they’re typically quite volatile. Not to mention, all of RTG’s games are delivered in HTML5, so you can expect a flawless experience on any device or platform you choose to play on, regardless of screen size and operating system. Also, it’s worth pointing out that thanks to this deal Casumo players have full access to all of RTG’s online table games. This includes Deal or No Deal Blackjack, European Roulette, and Baccarat. So as you can see, this is a pretty huge deal for both companies. Also, Casumo Project Manager Andreas Vickman had this to say in response, “Red Tiger is globally known for their high-quality games. They offer some of the most top rated games available, plus their innovative marketing tools are a great benefit for us. We’re looking forward to seeing what happens next for as we expand across new markets.” So why wait? Try RTG’s games on Casumo today!